The GBC Arts and Cultural Enrichment committee will present a live TED Talks style event, Fake News, Real Consequences Thursday, April 13 at 6:30 p.m. 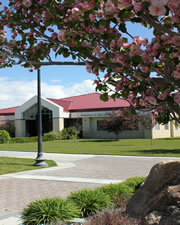 The event will be held in the Greenhaw Technical Arts building, room 130 located on the GBC Elko campus. 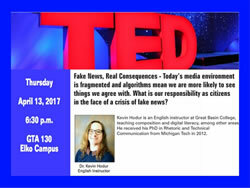 GBC English Instructor Kevin Hodur will lead the live TED Talk which will discuss today’s media environment as well as our responsibility as citizens in the face of the “fake news” crisis. Hodur teaches composition and digital literacy, among other areas. He received his PhD in Rhetoric and Technical Communication from Michigan Tech in 2012. How to have better political conversations by Rob Willer. 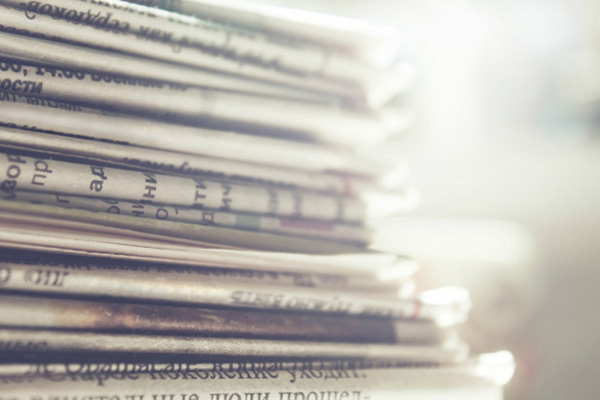 3 Ways to fix a broken news industry by Lara Setrakian. For more information, contact Angie deBraga at 775-753-2231.